NewspaperS in India have kept us informed on the running battle for 3G in India. The auction, mind-boggling numbers stating figures on what this is worth etc etc. We'll believe it when we see it, this 3G thing. Meanwhile MTNL has been advertising free trial of 3G services for its Trump and Dolphin GSM customers. I checked it out on MTNL's sparse web site. Here. Basically, this is only a trial. It only works in Delhi. And even there it works at Connaught Place, Sanchar Bhawan, Rajaji Marg, India Gate, Pragati Maidan, Delhi Gate and Minto Road. No tariff is stated and MTNL says it will be announcing it in the near future. MTNL plans to sell 3G as a means for video telephony and high speed internet with speeds up to 2 Mbps being advertised. So that's it for 3G in India. I just got back from chilly Amsterdam where IBC happened between 10th and 15th Sept 2009. I don't have a detailed report like earlier years. But I do have notes on many things I saw and anyone is welcome to write me and I'll share specific information. From the post-production point of view there were significant happenings around IBC. Some a bit before IBC, and others during. First, Blackmagic Design bought DaVinci. For me this was significant. That a manufacturers of capture cards costing between US$ 250 to $ 2000 could sell enough of these to be able to buy out a company that sold systems costing US$ 300,000 to $ 800,000 each. Clearly shows where the numbers are. Blackmagic's buyout has been documented by many sites, along with Grant Petty's own thoughts, so I won't repeat any of it. Creative Cow has a detailed analysis and an interview with Grant. These four links tell all. But broadly, after this buyout, the DaVinci 2k Plus - the telecine colour correction system - will be discontinued. Resolve, the DI grading system will stay and probably be overhauled. As will Revival. Resolve now sports 3D workflows as well as 4k real time even for 3D. Two other acquisitions happened but the results of these aren't immediately obvious. 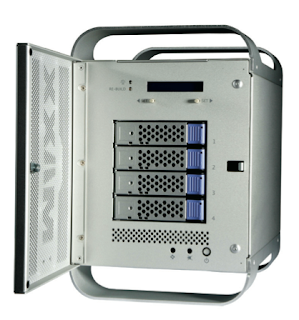 Avid bought Maximum Throughput and EditShare bought Gee which makes Geevs broadcast video servers, and the Lightworks editing system. Quantel, Digital Vision, DaVinci, Filmlight had their stands in places different from earlier years. And they all has smaller stands. And all four, aside of some evolutions in their systems had nothing Earth shattering to show. Pandora showed their MacPro based grading system - the Revolution. For DI workflows. Along with their Evolution grading surface. My colourist colleagues sat through a demo and came away impressed. Pandora has reduced prices. Scratch and Iridas Speedgrade were both there with colour grading systems that are getting better all the time. Red was everywhere too but there was no official Red booth. All grading systems now offer Red support. Some even have acceleration using RedRocket - Like Digital Vision. Conforming to Red files is also almost standard and doesn't need complicated DPX conversion workflows. There were many film scanners at IBC. DFT's Scanity though not shipping yet. Spirit 4k, P+S Technik's Steadyframe, MWA's Flash Transfer, Lasergraphics' scanner, Arri's scanner, Norhtlight, Cintel's Ditto and DataMill, GoldenEye, were all there with their scanners. Great time for someone to do a side by side comparison. I did and was extremely impressed with GoldenEye. Amongst all these, GoldenEye with its small size, 4k/2k interchangeabilty, capability for Dailies use, Sound transfer features, and low price seemed to be the scanner to watch. It is also ideal for restoration because of its clawless film transport. I hope to be associated with these scanners in the months to come. Foundry's Nuke is emerging as the leader in film and TV compositing and VFX. They have a great suite of products and a deal for Nuke leading to the soon to be released NukeX. For a modest budget, Furnace plug-ins for FCP pack a serious punch and deliver the same quality as those inside Nuke. Avid showed off new versions of their flagship products. I saw the Media Composer 4 demo and the single biggest feature was frame rate mixing in the same timeline. That, along with 100 undos, 16 tracks in the audio mixer, and improvements in segment mode handling are the great new features in the new MC. Avid's presentation also misspelt the word editor - they spelt it as editiors. 3D stereoscopic vision is still going strong. And many companies have now implemented it in one form or another. 3D displays and movies were everywhere. Quantel still seems to be the leader but others are fast catching up. 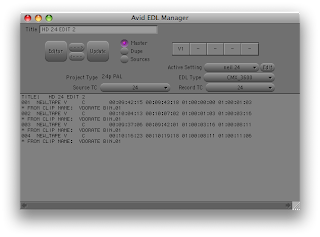 For editing 3D, Avid has it sorted out somewhat while FCP can be made to do 3D via Cineform. Among monitors, JVC seem to be the best with even a 10-bit display on show. But TVlogic, and Frontniche are great too. Astro's 4k display is as gorgeous as ever and a must buy for someone doing 4k or Red. Sharp also makes a 4k display, but I didn't see it at IBC. I saw many DCI encoders that make DCPs for theatrical digital cinema release. Dolby, Qube, Doremi, and others. The surprise at Dolby was, or course Pankaj Kedia - the former 'face of Discreet' in India now in a new Avatar. Still soft-spoken, sweet and helpful, I think Pankaj will take Dolby to new places in India, just as he did with Discreet. DCI encoders are still a bit complex. The interface and working is simple enough but the whole act of QC and previewing as well as accommodating changes seems a bit clunky. This has to get simpler and easier. And cheaper too. I quite miss the Wraptor plug-in from Quvis. 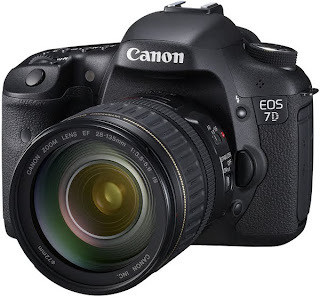 The new Canon 7D - another still camera that shoots HD. On the 1st Sep 2009, Canon put out yet another DSLR (Digital single lens reflex) camera that shoots HD video. The new Canon 7D. What makes this different from all the other HD capable still cameras is that this camera can do multiple frame rates. 24, 25,30, 50 and 60 fps. The Canon 7D sensor is not full frame but APS-C (a specification of frame size). Many film pros have lamented that this is not 'full frame'. That's what photographers call the full 35mm still photography frame. That's important because one of the things that makes video look like video and film like film is depth of field. Sure, The Canon is 'only' APS-C but APS-C is not small. Consider the following frame sizes of different cameras. Focal length is proportional to the image diagonal. And the longer the diagonal, the longer the focal length, the shorter the depth of field (DOF). So, the Canon 7D frame, while being smaller than 35mm still 'full frame', is not significantly smaller than Super35, Red or the other digital cameras. So the Canon 7D would appear to have a depth of field comparable to Super35 film and most other digital cameras. And vastly better depth of field than 16mm, and prosumer Digital camcorders. Note that its not actually 24fps, but 23.976 fps. This 23.976 is some NTSC complication that PAL users simply can't fathom. But 23.976 is no big deal, and CinemaTools can convert it to 24fps instantly. Sound speed too can be very easily adjusted. Incidentally, the earlier Canon 5D MkII like almost all other DSLRs that do HD video, can only shoot at 30 fps. 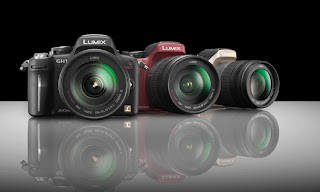 Except the Panasonic GH1 that does 24fps. Autofocus in the Canon 7D actually works in HD movie mode. Not like a follow focus, but a snap focus when you half-press the click button. Like an assistant who pulls out a tape, measures and then sets focus. But focus doesn't adjust while shooting video. It has to be 'pulled' manually. Again no big deal once you get used to the lens. Because of the small sensor and faster shutter speeds available, the 7D should have less rolling shutter than the 5D MkII and other such cameras. I've seen examples and they seem OKish. But unless someone makes a side by side comparison, one can't be sure. Rolling shutter is an issue with CMOS cameras, but with due care while shooting, its not a major problem. The greatest value in these DSLRs that shoot video (now called VDSLRs) is that its a tool in the hands of photographers. Who are capable of shooting really good images with available light. Unlike cinematographers, still photographers don't whine for lights. As a discipline they're used to shooting with available light mostly. Even if you gave them shooting lights they probably won't be able to know what to do with them. There are several reviews on this camera and you can find them at dpreview, gizmodo, and other photography sites. Many forums are discussing this actively. Vimeo has examples too. This new space in imaging is hotting up. Keep in touch. Many debate that digital movie shooting has still not reached that point where it approaches or betters film. Digital movie cameras have been around for a few years now. But the acceptance of digital as means of shooting movies in a big way is still waiting to happen. This debate will go on, just like the debate happened with still photography some years ago. Eventually that debate receded and is now as good put to rest. Film for stills is almost past tense. A new argument in favour of movie shooting with digital cameras, just occurred to me. People shoot movies on film because it is 'filmic' - film captures reality with unmatched latitude, has predictable characteristics, truer colours, is easy to use, and is a known process. All valid considerations. But, while most films are still shot on film, not too many are finished on film. They go the Digital Intermediate (DI) way. Even in India, finishing digital for features is prevalent. Few films have their negatives cut. In DI, what happens is the the film is first scanned. Meaning, a light is shone through it and a CCD creates an image of the film. This CCD is just like the kind used in digital cameras - Phantom, Arri D-21, Viper, Genesis. So, in effect, the film is 'shot with a CCD'. And less people debate whether this CCD is filmic, has the latitude to capture the range of film, has accurate colours. So, if the CCDs in film scanners can be trusted to represent film in all its glory, and the film itself is a good representation of reality. Then, if such CCDs are fitted with a lens, then won't we have a movie camera that's digital, and as good as film? Examples of such CCDs are those used in still cameras. These same digital still cameras are accepted in place of film cameras for stills. So, I thought, can't one accept movies shot with digital still cameras to be as good as, and eventually better than those shot with film-based movie cameras? That's my argument. If you want to make a movie that looks as good as if shot on film, and want to shoot 'natural' with a minimum of (even none) lights, then consider DSLRs. Those that shoot HD video. I've listed and briefly described some models earlier. After shooting, editing will be as usual - digital. Don't worry, movie editing has been digital for over a decade, thank you. Mail me for a viable post solution. Links to earlier posts on DSLRs doing HD video. An Apple FCP 6 or FCP 7 vsystem with the entire Final Cut Studio installed. The system needs to be an Intel Mac - MacPro or iMac, or MacBook Pro. The latest version of Red software - Redrushes, RedAlert, RedCine All correctly installed. A free software called Clipfinder . A word on Clipfinder. Its made by a German scientist called Hans-Georg Daun and it free. But there's a PayPal button on his site. If the software works for you, I urge you to donate generously. Remember, this software can do what others do for no less than US$ 150, so donate accordingly. Link at end. You start by making Quicktimes of the Red files using RedRushes or Clipfinder itself. You can make Quicktimes of any resolution even 720p and set the resolution to Quarter. These settings can give you even real-time exports out of a new MacPro. These Quicktimes will carry timecode from the R3D. Provided you set it that way. You then edit them in FCP. Make an XML out of FCP. Run Clipfinder and point it to where the Red files are located. Clipfinder makes a new XML now referring to the R3D files. Actually referring to the _H files which are 2048x1152. You then send this sequence to Color In Color you can grade to your heart's content Then come back to FCP for further editing etc. Or from Color you export to DPX or CIN Set handles as you wish. Take the DPX to Resolve eQ, smoke/Flame Lustre etc. The XML that Clipfinder makes after re-linking to _H files, creates a sequence in FCP that has the same name as the original sequence. So quickly rename it to avoid confusion. DPX files out of Color work fine in Shake, Resolve and iQ/eQ. But some versions of smoke/flame/lustre can't open them. For these systems better to use Cineon. Color does only a half-res De-Bayer so if your needs are 4k and or full-res De-Bayer film then this workflow may not be for you. This is for FCP ver 6 and Color 1.0.5 or older. FCP 7 and Color 1.5 and later does De-bayer in full res, even 4k Red to 4k DPX. If the Red files are on a FAT32 or other non-Mac drive, Clipfinder may not work for making a new XML. Copy files to a MacOSX HFS drive and it will work fine. How about editing on Avid? Can we have more details on FCP XML or Color settings? Can you do this for us? Or, we tried and ran into serious problems. Or even, our Red workflow was a disaster, we eventually rendered out Red files to Digibeta, captured them and worked like a normal video. Red camera has been a nightmare for us. etc etc. Hey, nothing's easy. and nothing's free. Press that yellow 'Donate' button on the right and I'm brimming with answers and help. Especially if you're in Mumbai, India. The origin of this tip is the Indie4k blog archive. An excellent resource for simple common-sense answers to India film-making problems. the original link is here. I am grateful to those bloggers and give them full credit for this excellent idea. I've only amplified it a bit. Clipfinder can be found here. And you can mail me any time with the link below. In a post house with hundreds of clients walking in and out every day - editing, finishing, DI, VFX CGI - hard disks are as common as tapes. And clients bring their media and take delivery on hard disks as a matter of course. But by far the commonest drive that comes to us is LaCie. 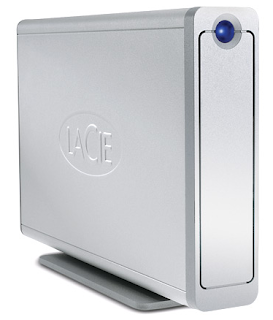 So by the law of averages, LaCie is the drive that fails the most as far as I've observed. And amongst Lacies the commonest and most catastrophic failures are in their RAIDs - 2-drive RAIDs. LaCie Big disk Extreme+ This is the latest one that has failed on me. It came with a client who needed a DVD from an HD Quicktime for her entire feature. We encoded off the drive and it worked without complaint for 14 hours. Air-conditioning was good so no temperature problems. Yet, a day later, the drive failed to mount. Checked and swapped cables, power supplies. Still no luck. Disk Utility and Disk Warrior don't see a drive. Apple System Profiler sees a Big disk Extreme + on Firewire but no drive. When I start up, I hear just one click-n-whirr. Where a two-drive LaCie (I have another working one) normally emits two click-n-whirr sounds. So I guess one of the two drives is history. And since all LaCie two drive drives are RAID 0 so is the data. The sad thing is that client had, along with Quicktimes of her feature, ProTools sessions for her entire two hour long feature. And she was on a tight budget. Very very sad. I haven't even bothered informing LaCie support. They have a no-reply policy for India in force, as far as I have encountered. I even have two LaCie Biggest F800 which have failed. First the Firewire 800 ports failed in both. One in the warranty period. Filling out support forms as well as sending mails to LaCie got no responses. Even the dealer put his hands up and said he could do nothing about it. So I resigned myself to running it off USB 2.0. 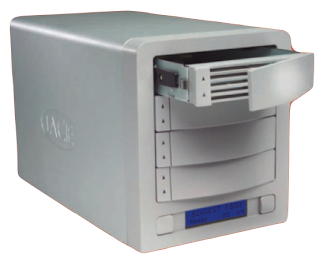 LaCie Biggest F800 - abysmal security at very high price. Recently one of the drives in this Biggest F800 failed. The LCD display on the drive said "Disk 1 fail". It was RAID 5 so I thought no problem, data was safe. I proceeded to copy out all the data to another drive. No luck. Some of the data couldn't be read. I thought I could replace the failed drive with a new one. It was IDE 250 Gb, so I had some of those. After replacing the drive, the RAID was supposed to be rebuilt. That's what the documentation (and the dealer) said. But surprise. Now it said the replaced drive was fine and some other drive had failed. "Disk 2 fail". So now I had no data. Replaced the drive back with the old one. And now, all was fine. Still I thought I should copy it all to another. And then. Back to "Disk 1 fail". Bottom line. If you have data on your system's drive and want to back it up to an external drive. the absolute LAST choice should be a LaCie. And definitely not a LaCie two-drive RAID. Even a LaCie RAID 5 is not a good idea. It costs the Earth and more, and it offers no real protection against drive failure. My choice is a Western Digital single drive. And if you're paranoid, get a Seagate FreeAgent as well. Have both of the same capacity. And make them both single-drive drives. NO RAIDs. And then use a backup software like Time Machine or Silverkeeper to backup to both. Should any one drive fail, get a new one and copy data over on it. Then send the failed drive to Seagate or Western Digital for replacement. Both of them have a great replacement policy. Even in India. My first choice is definitely Western Digital. Not that they haven't failed. But at least they are prompt with replacements. And both talk to you on support. Reply e-mails as well. The only good thing about LaCie is Silverkeeper. India - the world's largest 'real' democracy went to the polls. And nearly a billion people would vote. I was one of them. While standing in the queue, I thought of the publicity in the run up to the elections. Leading persons from various walks of life told us how important voting was. The Times of India ran a special front page telling us about the power of one. 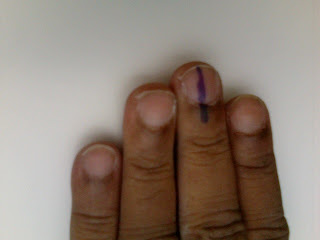 While I stood waiting my turn to vote, I thought about this 'power of one' idea. Its definitely important in democracy. It also applies to piracy. Movie piracy and software piracy. The power of one. Referring to anyone who shadily makes a copy of something he and she's not paid for. They knows its wrong, but do it nevertheless, just because 'everyone does it'. And because he or she won't get caught for it. Its even more amusing when the film industry - actors, directors, producers - tell us about how bad piracy it. It is bad all right, but some of them do it too. With computer software, if not other people's movies. The power of one, here too. "So what if I don't pay for MS-Office, I'm only one, Microsoft makes enough money right?" Can be easily rephrased as "So what if I download and watch Ghajini, I'm only one, the producer made 200 crores right?" So here too, 'one' makes a difference because everyone thinks they are 'one'. Just like in voting. I just checked, Microsoft in India sells MS-Office for as less as Rs 3050. Look here. So all those film producers who moan and whine about piracy while running MS-Office on their laptops and office PCs can now show the power of one, by buying it. Rs 3050 is about what my family blows when we see a movie - just one movie - in a multiplex over the weekend. For every one producer who uses one copy of MS-office without paying for it, my family watches one movie by downloading it, I think we'll be square. The power of one. Just like in a democracy. Besides, I get to pay for movie tickets, and I get to pay for computer software, because I care about piracy. Some producers and actors on the other hand, get passes for movie premieres. So they watch movies for free and, (if they don't buy it), get computer software for free too. What are they cribbing about? Still cameras could shoot video clips for about as long as they've been around. They shot small sized very compressed videos. Maxing out at 640x480. But now there's a range of cameras that can shoot high quality HD video. Some can even be called 'broadcast-worthy'. Not to be confused with broadcast quality, though. I went on a holiday some days ago with a bunch of colleagues who all had DSLRs. Really good cameras. Reminded me of times, some years ago when I too went everywhere with my film SLR. Eventually, I gave up on my SLR with its range of lenses, flash, motor-drive etc. I bought a really small Canon IXUS70 which is hitched to my belt in a small pouch. I now shoot stills and movies anywhere anytime. These small point and shoot cameras also have a surprising amount of control over picture taking. Not in the same league as aperture or shutter priority of the DSLRs or bracketing or anything like that. But still, useful, if you know how. What is quite amazing is how good the video looks with small still cameras. So, while on this holiday, my colleagues came out with stunning pictures, I had videos. Of some things that simply couldn't be conveyed in a still. Like riding a battle tank, or shooting with a real machine gun. Or the incoherent babble of my friend's year old son. Before this still camera, I shot video with my DV camcorder for some years. After my SLR days I tagged that DV camcorder wherever I went. But its bulky, shoots tape, and needs a camcorder to show people your videos. And the videos need editing (which is what I do for a living anyway). Somewhat cumbersome. Also, video camcorders shoot really abysmal quality stills so I still needed to tag along a still camera. My next acquisition will definitely be a still camera with HD video shooting capability. Best of both worlds. But I'll forgo the Canon 5D MkII, or Nikon D90 class and go for one that is small. The Nikon D90 and Canon 5D MkII were the cameras that started this trend. But these are both expensive DSLRs. In the Rs 60,000 to 1.2 lakh range. Also, they are bulky, which for casual photography, is a no no. And both have interchangeable lenses. So you'll eventually end up with a collection of lenses which you'll always tag along. 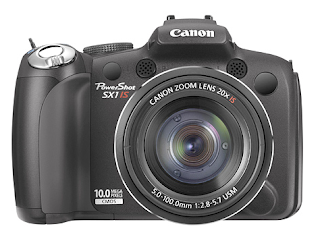 Amongst small cameras, that do HD video there is the Canon SX 1 IS. This shoots 1080p video but at 30fps. So, In India we'll need a creative way of converting 30fps to 24fps or 25fps. If I can get my hands on this camera, I could figure a preset in Apple Compressor to make a smooth conversion. The SX1 IS is probably the only of the non-DSLRs to shoot 1080p video. The rest of the small cameras mostly shoot 720p movies. All at 30fps. The Canon SX200 IS is one such. It shoots 720p video again at 30fps. This camera has only an LCD for a viewfinder. No 'regular' viewfinder. I find that a problem sometimes. Too used to shooting with one eye peering through a small hole. 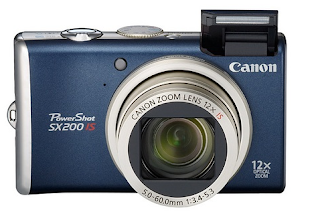 Canon has provided a the SX200 IS with a 12x zoom and the SX1 IS with a generous 20x zoom. In 35mm terms, the SX200 is 28-336mm while the SX1IS is 28-560mm So both are very wide angle lenses that can zoom to very telephoto. In fact, in the SX1 IS you can digitally double this to 56-1120mm. Great for wildlife too. And it goes down to 0 cm (yes zero cm) in macro mode. So leaf patterns, small insects, serious close-ups, here we come. 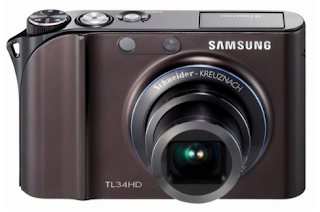 For half the price of the SX200 but with a shorter zoom is the Samsung TL34HD. If you absolutely must have a still camera that also does HD video, then this is your pick. But the zoom is 3.6x in this camera. Detailed reviews are linked on the page I've linked above. So read it and make your choice. I'm not partial to Canon, just that I've always had a Canon, so they caught my eye first. 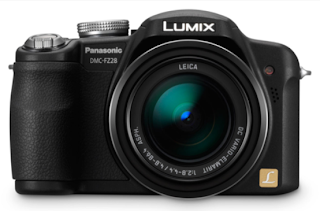 The Panasonic FZ28 is also a capable camera, much lighter than the SX1 IS and according to one review, better at correcting colour fringes. One thing that may come to the mind of fellow video shooters is this. If video shooting is what one wants to do, can't one just get a HD camcorder? Camcorders do still too. Not quite. Cost is one consideration. Even the most basic HD capable video camcorder is at least Rs 60,000. Way over the cost of the basic still camera that does HD video. These still cameras start at Rs 10,000. Besides, still cameras that do HD video take great pictures too. So you need to take your pick between spending a large chunk of money on a video camera that shoots average stills or a fraction of that cost on a still camera that shoots gorgeous stills but average movies. At the PMA 2009 show, Panasonic added a new camera the DMC-GH1. This is a micro four thirds camera with interchangeable lenses. What makes this camera special is the long zoom and HD movies at 1080p24. Yes 24fps. It saves movies as AVCHD at 17Mbps. And in this camera, the auto focus works while you are shooting video. Yes. strange as it may seem as a feature, most still cameras that do HD video don't function like true video cameras in these respects. I believe this camera's movie making capability will be stellar. Panasonic are the guys who gave the world great looking HD in the form of DVCProHD. The camera will be available by June 2009 so maybe by then some specs might change. This year, HD video will definitely get into most homes which have a HD capable LCD TV. As movies shot on a HD capable still camera.